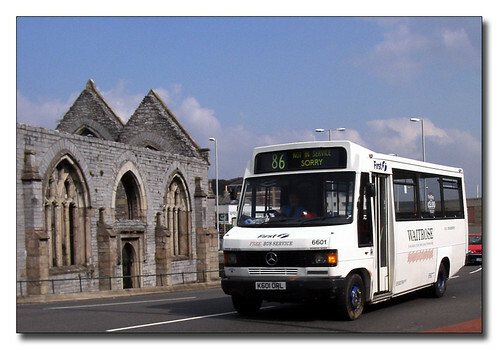 When you look at the First Devon and Cornwall fleet in Plymouth now its hard to remember the bad old days! K601ORL the first of a large batch of Mercedes 709s was still in regular use on Plymouth City services in 2002. Back in those days you would never have expected FDC to have got rid of theirs before Plymouth Citybus - who are not just still running them in Plymouth - but are still repainting them - so they must be planned to stay a while yet.